Situated in Maharashtra, India, we are committed to make available premium Titanium Pipes all over the nation and overseas. 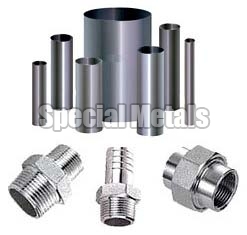 Offered by us in a plethora of shapes and sizes, you can acquirer Titanium Pipes in Grade I & II. We have become the foremost choice of the buyers as we deliver even the bulk orders within the postulated frame of time. All the credit goes to our logistic network!